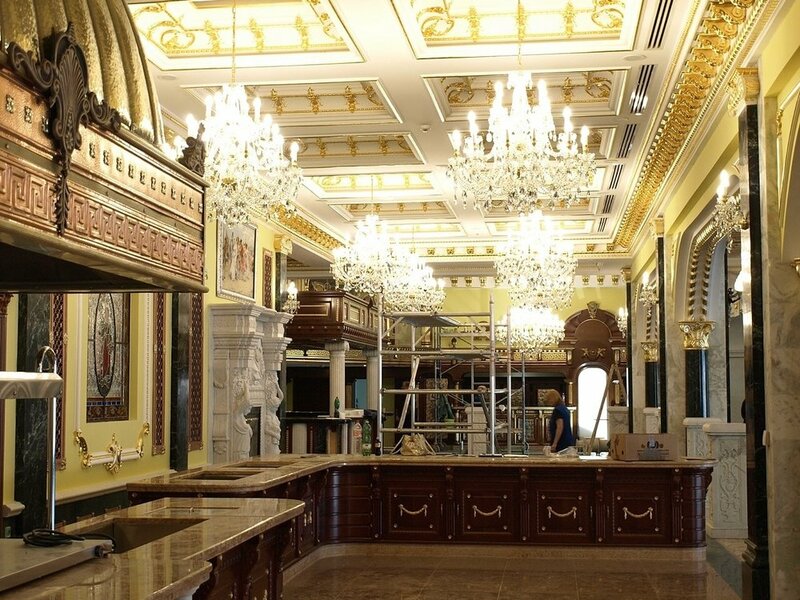 This challenging project illustrates our wide range of products and embodies an interesting mix of both classical crystal chandeliers with glass arms, and crystal surface mounted or cast lights. 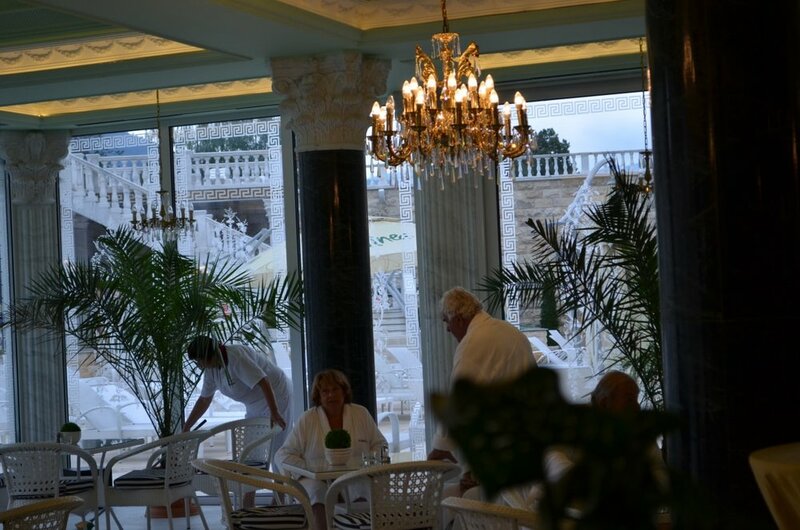 We believe that all customers will love the Spa centre's beautiful crystal chandeliers, which are the perfect embodiment of nobleness and contribute to the luxury look of the spa complex Aphrodite. 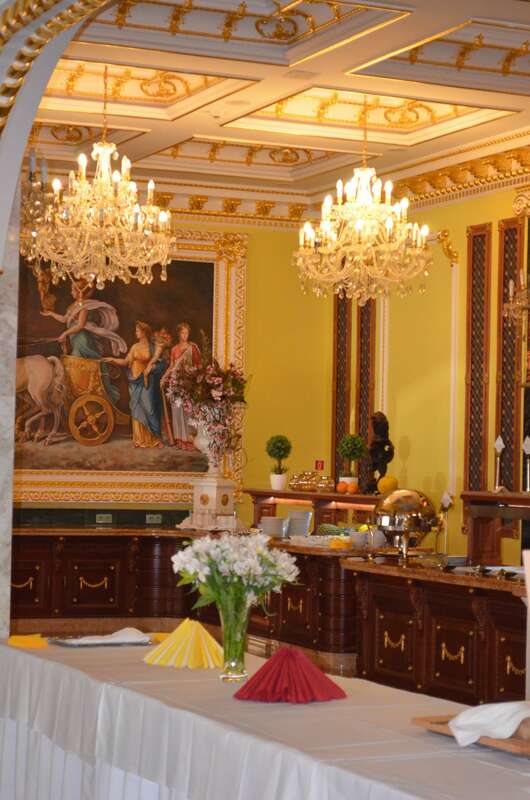 For the hallways of the Spa complex, the following lighting was carefully chosen. 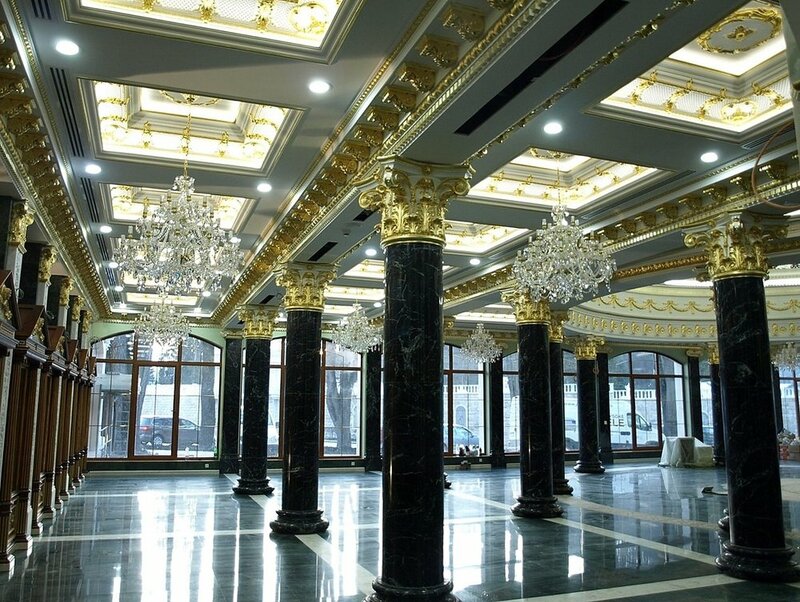 Twenty pieces of 24-shoulder crystal chandeliers of 120x90cm, 4 pieces of casting lights of dimensions of 74x100 and 160x205cm respectively. 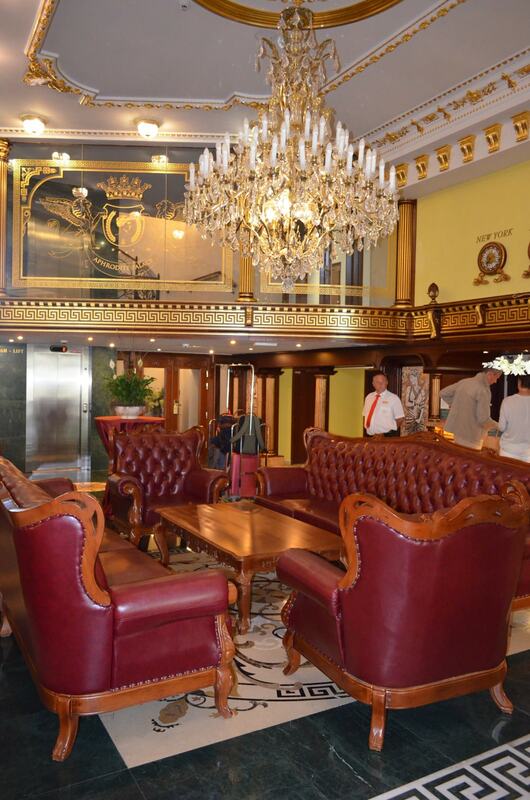 The interior was also furnished with 10 additional surface-mounted chandeliers and 51 wall lights. 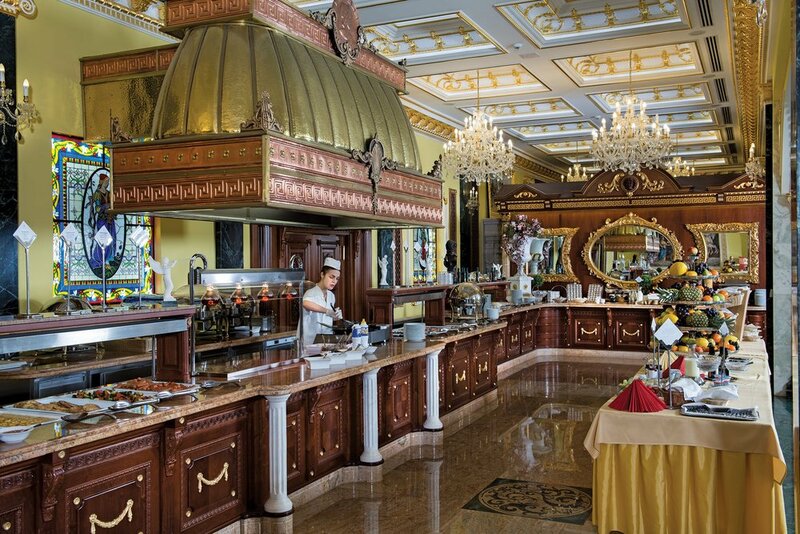 Restaurant by the thermal SPA was our next stop with the project of crystal chandeliers with cast details and „antique brass“ that we used for all the chandeliers in thermal SPA Aphrodite. The light bulb covers are decorated with defluent wax imitating the look of candles. 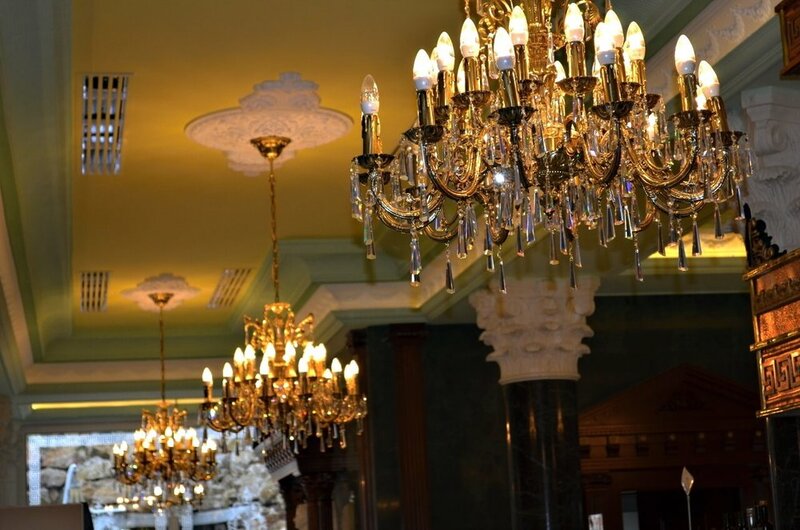 This is but a cherry on top of these gorgeous crystal chandeliers. 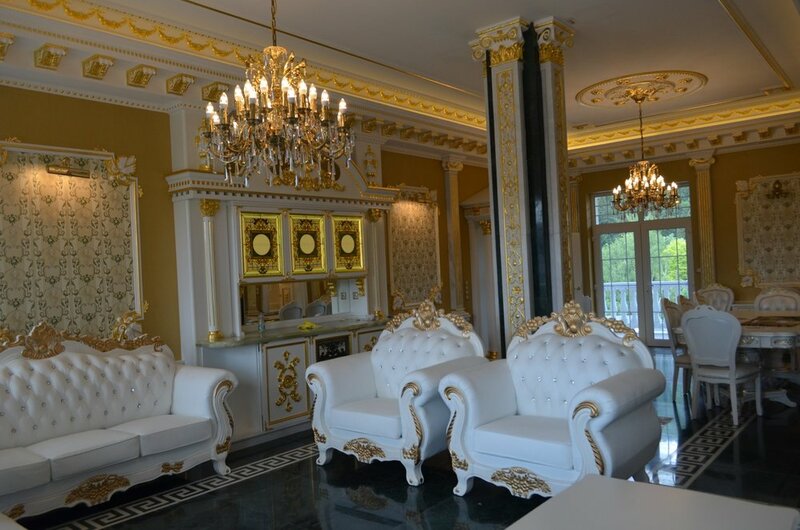 Luxury casting style lightings – chandeliers, wall lamps, floor and table lamps with lovely folded organza lamp shades were chosen for these particular premises of the Spa. 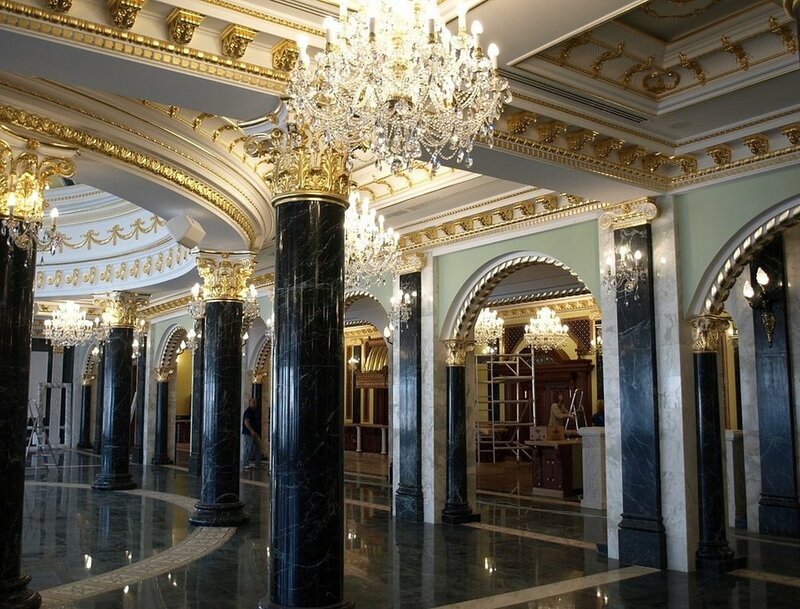 We manufactured 20 crystal chandeliers shining through the royal apartments as well as the main dining and entertainment hall. 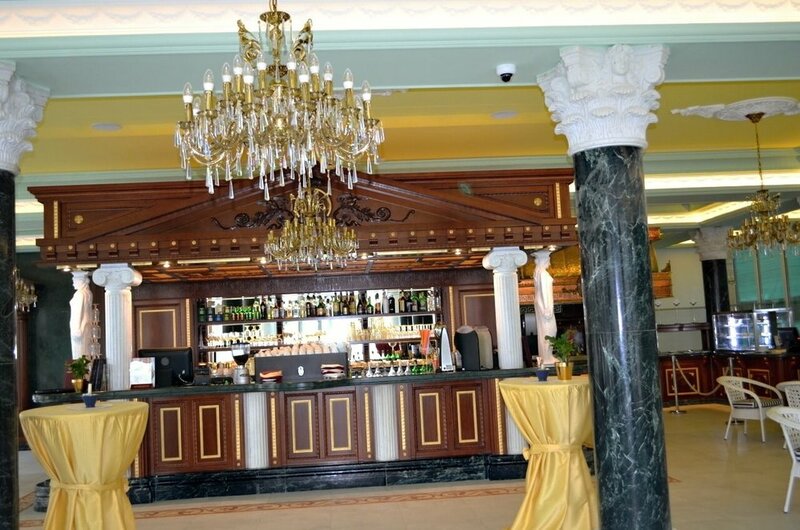 Twenty six crystal chandeliers and lamps were installed into the SPA night bar. 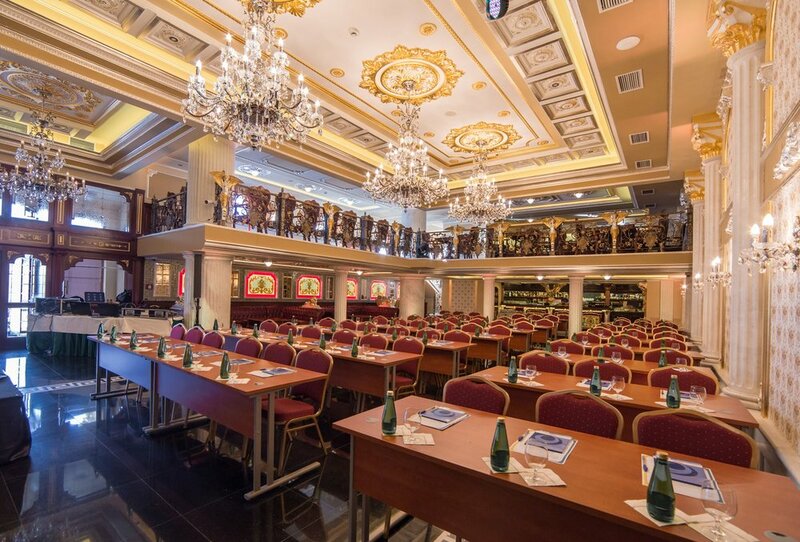 Unique chandeliers with luxurious design are spread along the entire interior. 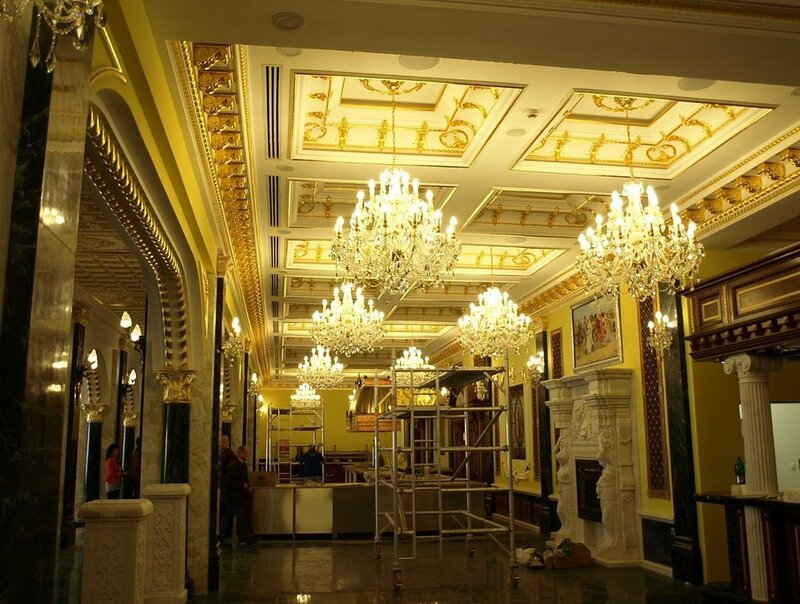 We had created a so-called „moulded” chandeliers with the design based on the original design chandeliers from the previous stages of the project. 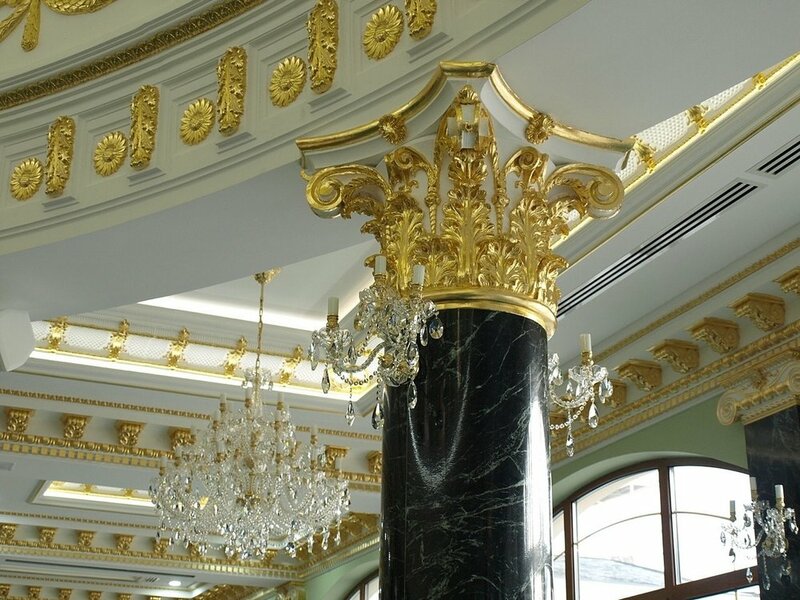 We installed chandeliers with twenty two, eighteen and six molded arms, where combinations of metallic and glass details are used to emphasise the contrast, which is further deepened with clear crystal pendants.